Smart businesses understand they must continue to promote their businesses to remain competitive. This is true for every organization, regardless of size. For example, Walmart continues to advertise and now offers two-day shipping to match its competitors. What can a small business do to remain in the public’s eye, especially when they have a limited marketing budget? Promotional products can be of great help in achieving this goal, particularly when they are items recipients will use every day. Lanyards are a good example of a product of this type. 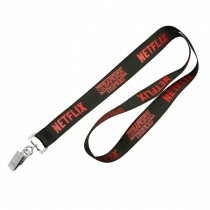 Lanyards in Los Angeles can be used for events, conferences, as promotional giveaways, and more. The ideas are endless when this item is selected. One reason many businesses opt for lanyards in Los Angeles is the many options available for this item. Customers do seem to have preferences, nevertheless, and frequently choose one of three materials for their lanyards. Following are the most popular materials. 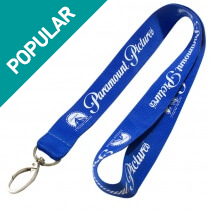 Printed polyester lanyards offer a premium look and feel at a price that is affordable. The screen printed lanyards come with a ribbed matte finish, allowing a clean and crisp print finish. With this type of lanyard, a customer finds they can choose up to four colors, although most opt to use a single color print to keep costs down. Contact us today to learn about the single and multi-color options, as we can create a virtual preview of both options to make the decision process easier. In addition, we can provide cost estimates for both. 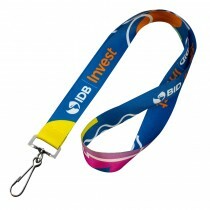 Printed nylon lanyards are considered a distant cousin of the polyester version. Print options are similar, yet this style allows for slightly more complex designs. This is due to the high luster finish and tighter weave. Most customers find they prefer a white lanyard with their color print choice, and this can be determined before the order is placed. If you wish to see and feel the polyester and nylon versions before deciding, we are happy to send a sample at cost price. When an order is placed, we deduct the sample cost off of the final price. Dye sublimation lanyards are ideal for full-color prints and photographic images. These lanyards feature an extremely smooth surface that is perfect for the vibrant, full-color print of the customer’s message and branding. Our in-house graphics team is available to assist clients with their LA lanyards, as we want to ensure the finished item is a true reflection of the business and its offerings. The design team doesn’t simply help with the artwork for the lanyard either.They can assist with choosing any accessories, such as a deluxe swivel clip, a j-hook, or a short release. Clients are only limited by their imagination, as we work with any request. Our goal is to turn your vision into a finished product you can’t wait to share with others. There is no need to settle with what you are given, as we provide what you want. Every client is presented with a prototype for review, and we make the necessary changes until it is just right. Products are never produced and shipped until the customer is satisfied. We can create a lanyard suitable for holding a wine glass or a smartphone, among other things. The lanyards can be formal or fun, depending on your needs, and we offer personalized design and bulk pricing. In addition, we can come up with a custom accessory to be used for a specific purpose. For example, we can create a lanyard with multi safety straps to make the item safer. A lanyard of this type features multiple break points, as opposed to only one. This is merely one way we work with you to put together the perfect product. 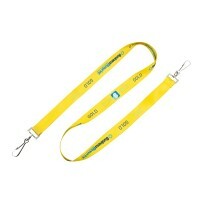 Lanyards USA is a company that is completely online, as this helps to keep our overhead down. Customers benefit, as our prices are incredibly low, yet we refuse to sacrifice quality. We work with the fastest courier services for our lanyards in Los Angeles to make certain clients receive their items in the shortest time possible, and we are ready to assist at any stage of the order process. This is true whether you need help from the initial contact until the product is delivered or only in the product selection process. 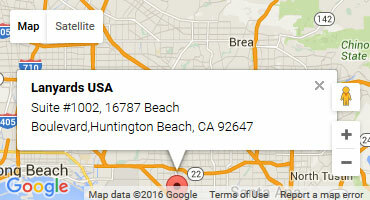 Order lanyards in Los Angeles today. 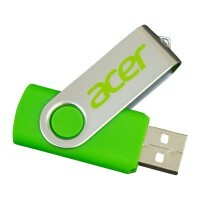 They are wonderful for a variety of giveaways and never go out of style. We’ll help you create the perfect accessory regardless of your needs. Any delay and you will be losing out on exposure for your business. Thanks to the low cost of these items, you’ll see a good return on your investment in a short period of time. It’s all a matter of getting the process started, and we are ready to help.